These are all gels mixed with lidocaine (an anesthetic numbing agent) that are injected into facial wrinkles. They replace the hydrating substance (hyaluronic acid) that is reduced as skin ages. The benefits last about 3-6 months. Bruising at the site of injections may last a few days. 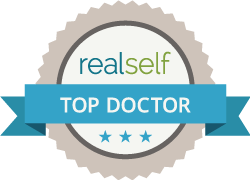 For best results, it is desirable to have an expert plastic surgeon perform the injections, so that the gels are injected in the optimal locations on the face, at the best level in the skin, and in the best amount for each wrinkle.